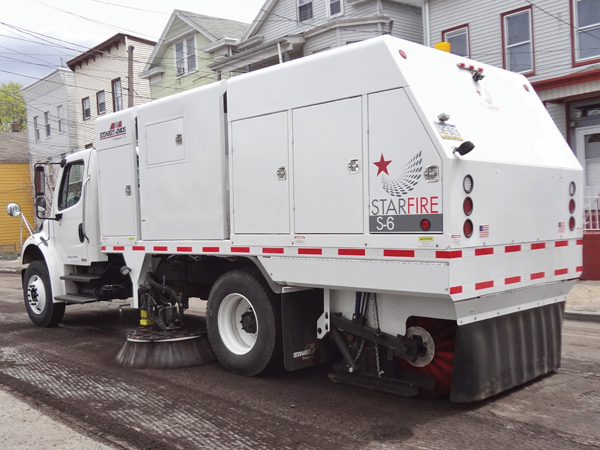 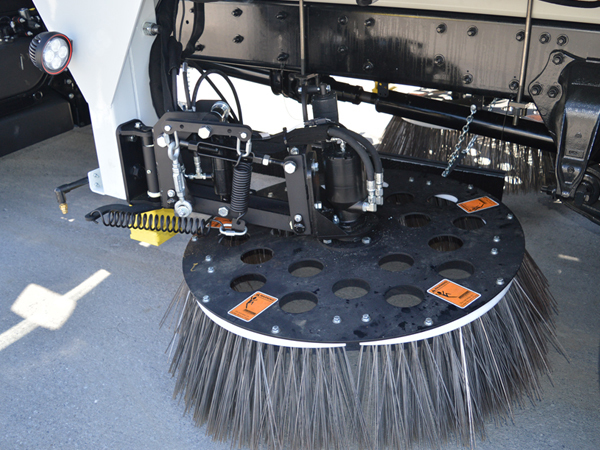 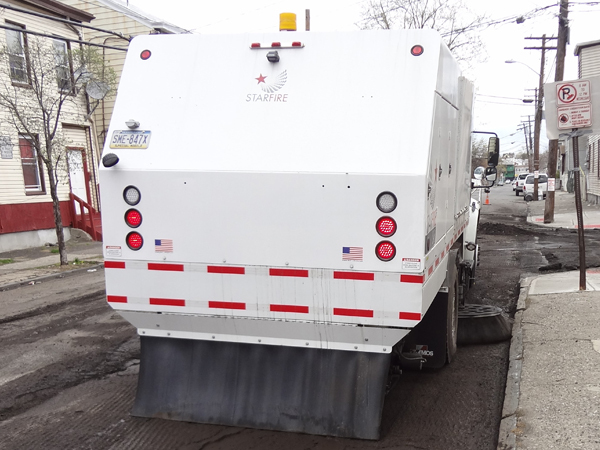 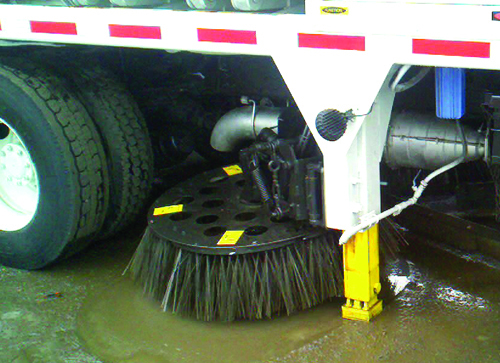 The S-6t is a full-size, two engine mechanical broom street sweeper that is mounted on a large CDL chassis. 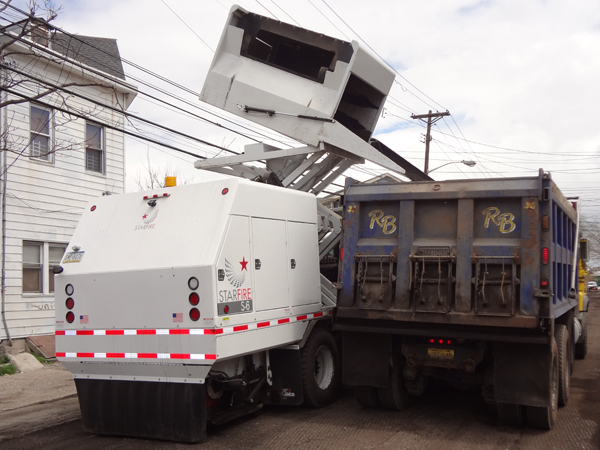 Manufactured with reliability and simplicity in mind, the S-6t features a high-capacity 6 yd3 hopper, the largest available. 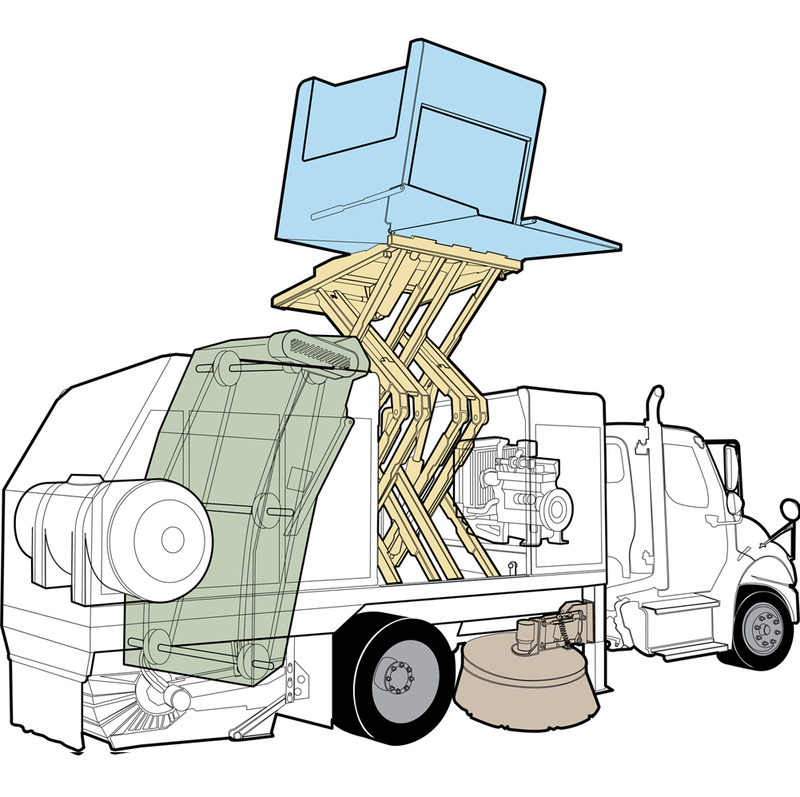 Its standard features, such as a 350 gallon water system and 12′ 2″ hopper dump height, make the S-6t ideal for the most-demanding sweeping applications. 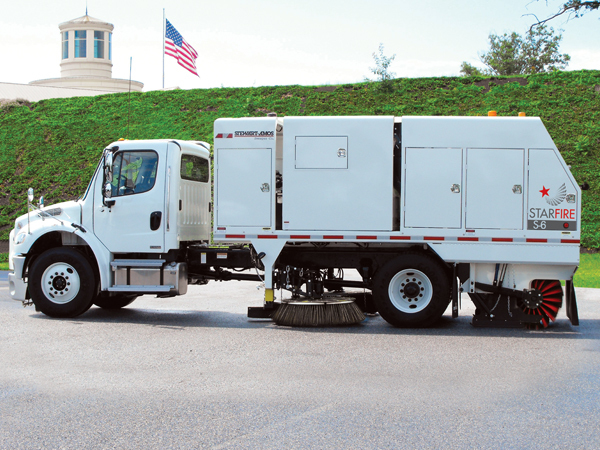 The environmentally conscious S-6t is SCAQMD PM-10 Rule 1186 Certified. 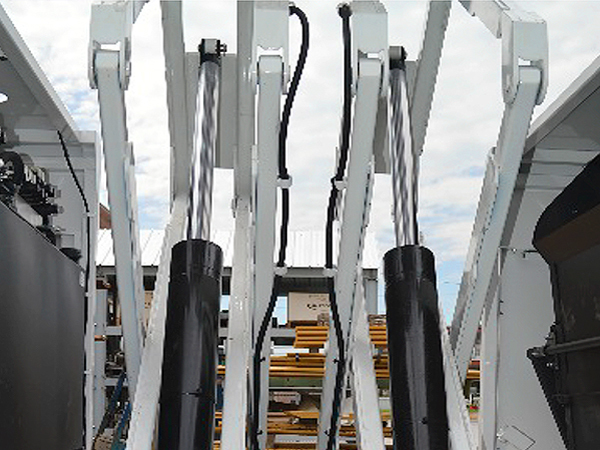 4 Cast iron gear pump is more tolerant of heat & contaminants, making it simple & economical to troubleshoot, repair or replace. 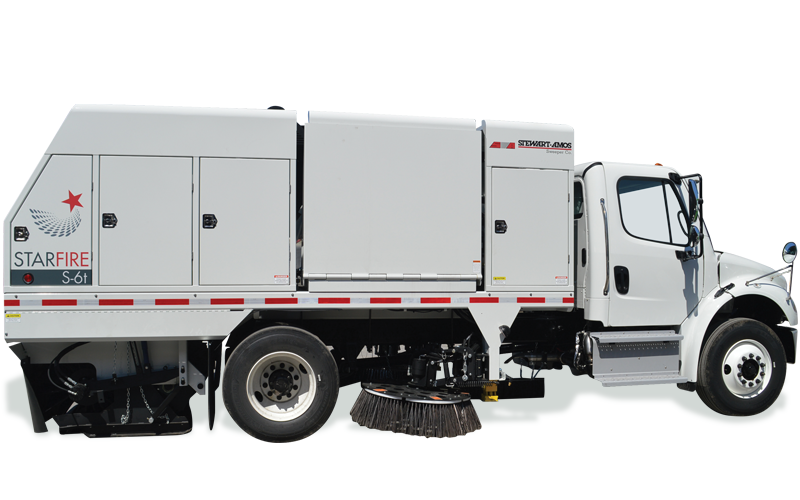 The S-6t (two-engine) has a 59 HP Kubota turbo-charged diesel engine with high temperature/low oil pressure auto shutdown. 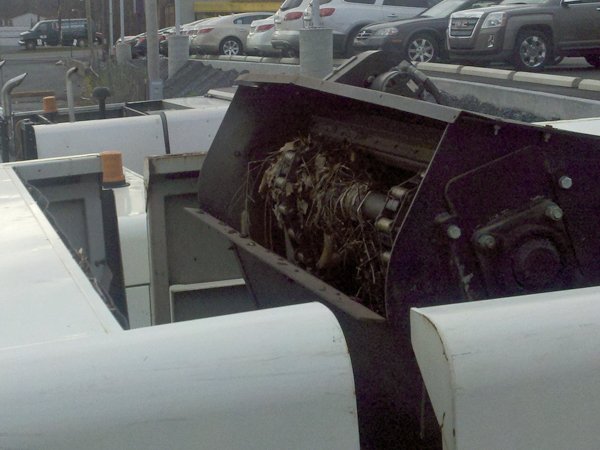 This engine runs quieter & consumes less fuel.